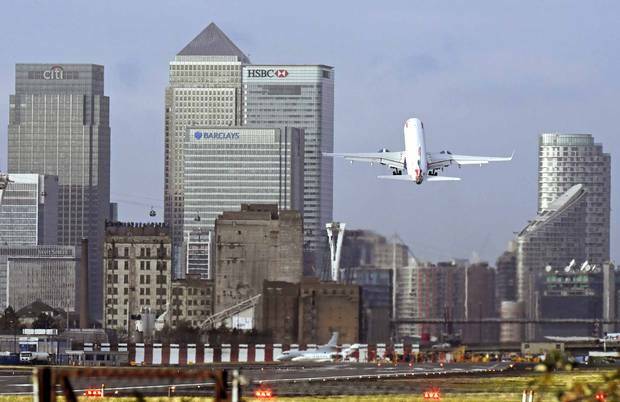 A British Airways plane takes off at London City Airport. The twin engines of a Lufthansa Embraer 190 are humming on the short, narrow runway at London City Airport. The airplane is ready for takeoff, but the ascent will be no easy feat. Squeezed between university student housing to the north and the old Tate & Lyle sugar refinery on the River Thames to the south, airlines and pilots need special approval to fly in and out of this compact airport. People live just 150 metres – less than two soccer fields – away. Many jetliners can't meet noise limits, or manage the steep incline to the sky. From the back seat of a Mitsubishi Shogun SUV at the end of the tarmac, Andrew Claerhout, head of infrastructure at Ontario Teachers' Pension Plan, leans in for a view of the plane, taking in the full panorama of his latest investment in the airport space through the windshield. His eyes flick down the recently repaved runway, over a few parked jets and across the airport's grey two-story terminal. In the passenger seat, the airport's retiring CEO, Declan Collier, points out local landmarks – the O2 Centre entertainment complex and the business hub at Canary Wharf – and describes the checkered history of this gentrifying section of East London. Mr. Claerhout interjects with questions as they strike him. What kind of corporate jets does Royal Dutch Shell PLC keep here? Where's the spot a group of Black Lives Matter protesters slipped onto the runway a few months ago? Is that an Airbus A319 over there? Every detail holds meaning for an investor, and Mr. Claerhout and his partners have billions of dollars riding on this place. To travellers, London City may look like a cramped regional airport. Built upon derelict docklands more than 30 years ago, it was designed to accommodate a maximum of a million travellers a year. Last year, 12 airlines herded a record 4.5-million passengers through, driven by a boom in air travel that's putting pressure on airports all over the world. Low oil prices, the evolution of low-cost airlines and the emergence of a new Asian middle class have fired up an industry that is basking in the strongest growth trend since the 1960s. Airline profits have soared, and many airports are bulging at the seams. There's huge money to be made, and as a result, airports are transforming from tired travel hubs to true destinations. The world's best airports – Singapore is often held up as an example – don't look much like airports at all. Instead, they resemble high-end shopping malls, offering luxe retail options, five-star hotels and restaurants where patrons actually want to dine. That, however, does not describe London City. A steady stream of small upgrades – mostly technological – have made the airport's growth possible. Still, it looks and feels its age. The hallways are crowded, some of the seating is worn, and the promise of getting passengers from door to departure gate within 20 minutes is getting harder to keep. Even the wood-paneled corporate offices in the nearby City Aviation House building evoke a bygone era. London City is a convenient place for business travellers to get to – it's a short ride from the city's famous financial district – but not necessarily to most pleasant place to wait for a flight. For Mr. Claerhout, that's why this is exactly the opportunity he has been looking for. Last year, Teachers and two of Canada's other largest pension funds – Ontario Municipal Employees Retirement System and Alberta Investment Management Corp. – teamed with Kuwait's sovereign wealth fund to outbid a slew of other players to buy the airport for close to £2-billion ($3.3-billion Canadian). Now, the investors are gearing up for a £350-million overhaul set to begin in a couple of months. The goal is ambitious: Transform the airport into a leading-edge hub that will welcome 44 per cent more passengers by 2025. They're envisioning a gleaming terminal with a range of retail stores and a luxury hotel – the sort of amenities that can encourage visitors to spend time and, more importantly, money. To accomplish all this, London City needs to get bigger, inside and out. The main terminal will be rebuilt, refurbished and expanded. And to handle larger jets capable of flights beyond Europe to destinations as far away as the Middle East and Mumbai, London City will build the first digital, remote air-traffic control tower in Britain and construct a new taxiway lane to allow pilots to manoeuvre to and from an increased number of gates. Ever-increasing traffic means the world's airports are in desperate need of cash to keep up. Airport owners are already planning to spend more than $1-trillion (U.S.) on development projects around the world, according to a recent analysis of planned construction projects by research firm The CAPA Centre for Aviation. Even that isn't expected to be enough. Canadian institutional investors are lining up at the gate to invest in the massive global upgrade. In the past decade, they've poured billions of dollars into airports and their management companies. In addition to London City, Teachers owns parts of airports in Copenhagen, Brussels, Bristol and Birmingham. The Caisse de dépôt et placement du Québec owns a slice of London Heathrow, which is also shoring up capital to expand. The Public Sector Pension Investment Board (PSP) has bought airport stakes in Athens, Budapest and Hamburg. In the past few months alone, PSP bought up a 40-per-cent stake in the operating company that runs Puerto Rico's largest flight hub, and Fairfax India Holdings Corp. boosted its stake in Bangalore International Airport Ltd. The number of potential investors circling airports is among the clearest signs that infrastructure is maturing as an asset class. A decade ago, trading holdings in shipping ports, bridges and toll roads was still considered an emerging opportunity. But infrastructure has since gone mainstream, accelerated by international institutions' hunt for both places to park large sums of capital and to find yield in a low-interest-rate environment. As asset valuations soared, governments addled with debt and deficits have sought to cash in. Now, institutional investors in Canada and the United States are looking to home for opportunities, and governments are debating whether to sell off airports. In Ottawa, the federal government has been studying different ownership models. One day, Andrew Claerhout and his acquisition team at Teachers may be able to buy a stake in Toronto Pearson International or Vancouver International Airport. For now though, he's got his eyes firmly fixed on London City – and on the returns that the pension fund's investment could one day bring in. A look inside Copenhagen Airport. "They don't miss a chance to sell you anything, do they?" says Nancy Forsyth to her husband Ken, gesturing across the bright airy terminal in Copenhagen Airport to yet another duty-free store beyond a second passport control station. Awaiting a flight back to Toronto after a cruise vacation through the fjords and highlands, the couple has already loaded their cart with bags of souvenirs, including one from pricey Danish design emporium Illums Bolighus. "We left all our shopping for kids at home and friends to here, except for scotch because we were in Scotland," Ms. Forsyth says. Now the airport was trying to get them to open their wallets on one final stretch before their gate. The Forsyths are typical of the customer Copenhagen Airport has increasingly tried to court. The airport has found that non-business travellers spend the equivalent of $45 (U.S.) each before flights on average – even more if they're travelling overseas. The long-haul international tourist is the ideal passenger. In many ways, Copenhagen Airport, in which Teachers has been a stakeholder since 2011, offers a glimpse into what London City could become. 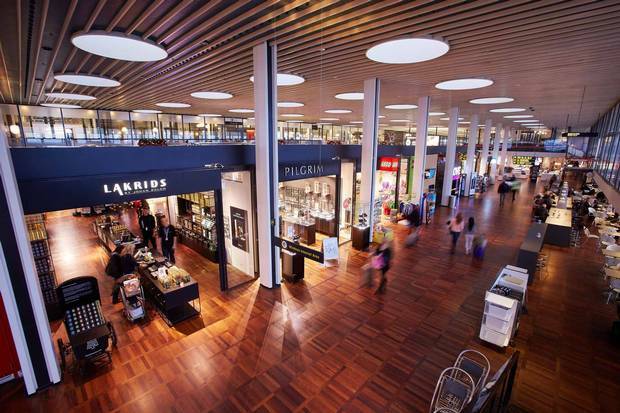 The southernmost airport in Scandinavia, it draws 4.1 million Danes and Swedes who live within a two-hour commute It's also a hub for international connecting flights that welcomed a record number of passengers through in 2016: more than 29 million across about 75 airlines. And the airport has its own growth plans afoot. By the end of 2017, it will have spent nearly $500-million (Canadian) in the past two years, in large part on expansion projects. Like its smaller counterpart, Copenhagen Airport is building new gates and a pier to handle larger aircraft. A look at London City's plans shows Teachers is applying lessons from Copenhagen. In Copenhagen Airport, the Danish reputation for design is on display. The terminal is filled with church-like archways, glass walls and is decked out in East-Asian hardwood floors that withstand the wheeled-suitcases of as many as 50,000 passengers each day. At London City, renovations call for an enlarged white-and-gold terminal to replace the current grim, grey facade. The similarities don't end at the surface. Copenhagen's plush Clarion Hotel, which can be accessed through airport walkways, is constantly booked, so London City is set to build its own on-site four-star hotel. Copenhagen's paid parking space not only directs a stream of cash to investors, but also boosts the airport's appeal and accessibility. London City is planning its own new car lot, complete with vehicle charging stations, to cater to East London's population boom. The need for more space is a challenge facing airports around the world. More people are flying than ever before, and that's set to increase, thanks to growth in emerging markets and lower flight costs. Montreal-based airline trade association International Air Transport Association (IATA) forecasts that 7.2 billion passengers will travel in 2035, a near doubling of the 3.8 billion air travellers in 2016. Global air traffic volumes are also expected to double in that time frame. All of this is forcing the airline business to evolve. Improvements in technology are helping fleets become more fuel efficient. And lower energy prices are allowing airlines to both reduce flight costs and boost their bottom lines. Kenton Bradbury, managing director at OMERS' Borealis Infrastructure sees that playing out at London City, where a goal behind all the upgrades is to convince passengers like the Forsyths to spend. "More and more as the airport starts to deliver on routes for tourists in the middle of the day they can do their shopping and get something to eat fresh, etc.," he says. There are two main ways that major airports make money. The split depends on the character of the airport, but nearly 60 per cent of airport revenues come from "aeronautical" charges, such as airplane landing and parking fees and terminal rents, according to a report from industry group Airports Council International (ACI). Another 40 per cent comes from the commercial, or "non-aeronautical," side of the business, which includes car parks and rental facilities, banking, advertising, shopping and food and drinks. For investors, this is where the biggest opportunity lies. There's a "wide acceptance in the industry that airports are finding non-aeronautical revenue more important as they continue to diversify their revenue streams," the ACI report states. These business lines typically carry higher margins than their aeronautical counterparts and often aren't governed by long-standing tariffs or contracts with air carriers. As a result, infrastructure pros are talking like retailers. "It's the modern age of how do we deliver a great experience for customers, which is so important, isn't it? To get them to come back, to get them to enjoy it," Mr. Bradbury says. In Copenhagen, the line between metal detector and cash register is beginning to blur. A wall and tables are positioned just beyond the security checkpoint. The area gives passengers a chance to retie laces and buckle belts – but it doubles as a moment for potential customers to relax before they pass through the duty-free stores. Carts and strollers help keep arms free for shopping. Bright bins of cheap bottled water for 10 Danish krone (about a toonie) are the gateway items; once a traveller decides to buy one, they're more likely to keep shopping, the airport's management team has found. And that's important, because duty-free shops are both the most profitable retail in an airport. No space goes unused. A walled-off empty space was repurposed into a two-story glass H&M store in Copenhagen. A wide walkway became a celebrity-chef cooking demonstration. An empty corner became the bustling Lagkagehuset bakery, with long lines thanks to its intoxicating smells and glistening strawberry pies. The scene in Copenhagen makes airports seem like an obvious place to make money. Of course, the investment case is not that simple. London City Airport is shown in 2015. Two policemen, clad in black and toting rifles, scan the check-in area at London City just before 11 a.m. It's one of the airport's quieter times of the day, but Mr. Claerhout's walk through the facility comes just three days after a terrorist attack in Manchester killed 23 people and raised Britain's threat level from severe to critical. Mr. Collier says he expects patrols will last for the foreseeable future and says he is in constant contact with British government agents. "Our primary focus is safety and security. And in an event like that, the first thing that happens is I get a call first thing in the morning like every other airport CEO to tell me that an event has happened and to talk about what the level of response is going to be." Terrorism and other safety concerns haven't appeared to dampen global passenger traffic growth. But airport management teams are intensely focused on working with government security agencies on new systems that are both effective an efficient. There's a lot at stake. Last year, part of Brussels airport in Belgium – partially owned by Teachers – was blown up in a terrorist attack that killed more than 30 people and wounded more than 200 others. Patrick Charbonneau, head of PSP's infrastructure group, recalls when a plane crashed in the French Alps in 2015 on its way from Barcelona to Dusseldorf, an airport in which PSP bought a stake in 2013. "The airport has a role. Even though the aircraft was not at the airport, there were people waiting for the people on that flight," he says from the pension fund's new office in London. "You always need to have capable people ready on the ground. It's never predictable." Predictability is typically something investors look for when making infrastructure deals. Other assets – such as toll roads or parking lots – are more straightforward: investors collect steady cash flows from a primary source; costs are low. Take the Chicago toll road that Teachers and OMERS bought with the Canada Pension Plan Investment Board in 2015. It has about 22 full-time employees. London City Airport, on the other hand, has 100 times as many staffers. To justify the added complications airports bring, Teachers expects higher returns from these investments. The overall infrastructure portfolio shoots for a 10-per-cent return, but some assets – toll roads, wind farms and power lines – offer lower, but steadier returns. "We have some that have to be above 10 because they're higher risk," Mr. Claerhout says. Andrew Claerhout, head of infrastructure at the Ontario Teachers’ Pension Plan. Threats to airports – and their value as assets – go beyond terrorist attacks and plane crashes. The complexity of ownership structures and regulations can be daunting. And airport revenues run the risk of being hit by patches of economic turbulence – rising oil prices, sluggish gross domestic product growth in North America and global economic uncertainty around the outcome of the British referendum, for example, could slow traffic growth in 2017, according to IATA. At London City, Teachers is grappling with the impact of a Brexit vote that didn't go its way. It's unclear how many foreign offices of companies such as financial firms might relocate to a new European hub to serve clients after Britain separates from the rest of the European Union, but that could mean a hit to the passenger traffic that London City is anticipating in the coming years. And while a hit to the British economy and value of the pound might attract more visitors, it could also lead to the core London customer base travelling less. Is Teachers worried about the impact this might have on this airport? "Absolutely, we get paid to worry," he said. "Our base case was that the Brexit vote would be to stay. We were wrong about that. But right now, it's 'wait and see.'" Some other changes are nearly impossible for investors to foresee. This month, the Danish government proposed a regulatory change that could dampen profits at Copenhagen. "The situation in Denmark has highlighted the fact that there are some unique risks and they need to be managed, and Teachers need to get compensated for it," Mr. Claerhout said. He added that when governments provide transparent, predictable and stable investment environments, they benefit by having to pay lower risk premiums to investors. That can lead to the development of more infrastructure at a lower cost. The hunt for airports in predictable and stable environments is becoming more difficult. Just under half of the world's 100 busiest airports now rely on some kind of private-sector investment, according to ACI. When all airports are accounted for, about one-third of Europe has some private-investor involvement. In North America, just 1 per cent of airports have that backing. The United States, with its free-enterprise values, and Canada, with its quest to stimulate the economy through building, appear ripe for takeover. But, like most things with airports, it's complicated. Ontario Teachers’ Pension Plan: Teachers has direct investments in five privatized airports which are overseen by its asset-management team at Ontario Airports Investment Ltd. That includes its 25-per-cent stake in London City Airport, its most recent acquisition in the sector. It made its first investments in Britain’s Birmingham and Bristol airports back in 2001 and now owns 48.25 per cent and 100 per cent of them, respectively. It invested in Brussels and Copenhagen airports in 2011. The pension fund is constantly evaluating other potential airport investments, including recent interest in an asset in Colombia. Public Sector Pension Investment Board: In 2013, PSP bought German airport investment and management group AviAlliance, previously known as Hochtief AirPort GmbH. The business, which was spun out of an airport construction company, already had interests and management deals with airports in Athens, Dusseldorf, Hamburg and Budapest. In the spring, AviAlliance expanded its portfolio with an interest in San Juan Airport in Puerto Rico. Alberta Investment Management Corp.: AIMCo made its first direct infrastructure investment into an airport with its 25-per-cent stake in London City. The pension-fund manager said it would continue to invest in airports and similar transportation-related assets as part of its infrastructure portfolio. Caisse de dépôt et placement du Québec: The Caisse has made a series of public and private investments in airports around the world, including in major cities such as Paris, Beijing and Sydney. The largest stake by far is its nearly 13-per-cent interest in London’s Heathrow Airport, where private investors said in March that they would fund a £650-million ($1-billion) expansion plan to build a tunnel and expand a terminal. Ontario Municipal Employees Retirement System: OMERS’s Borealis Infrastructure group has two key airport investments. 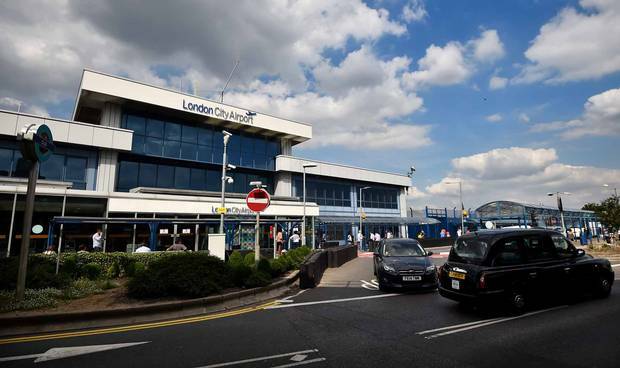 Most recently, the fund took a 25-per-cent stake in London City Airport. But the fund set out to be a major global owner and operator of airports in 2009 when it partnered with two other North American airport development companies to try to dip into the growing airport privatization market in Latin America. The resulting business, now called Airports Worldwide, has $400-million (U.S.) in assets under management and equity stakes in airports in Belfast, Ireland; Stockholm; Orlando, Fla. and two flight hubs in Costa Rica. Canada Pension Plan Investment Board: In 20 years, CPPIB has never made a direct investment in an airport. The closest it came publicly was a failed attempt to buy a nearly 40-per-cent stake in Auckland International Airport in 2008 for $1.4-billion. The fund’s effort was shut down by the government of New Zealand, despite winning other shareholder approvals. CPPIB wound up paying a settlement fee to the airport for costs associated with the failed bid. Now, CPPIB only holds small stakes in publicly traded companies that own or operate airports. Right now, that exposure amounts to about $140-million (Canadian) of a $316-billion portfolio. It has aggressively pursued other direct investments in infrastructure and has not ruled out future airport bids. Finance Minister Bill Morneau has an infrastructure sales pitch. In recent months, Ottawa has forged ahead with a plan to staff up its new Canada Infrastructure Bank, which aims to build revenue-generating infrastructure with $35-billion worth of government money alongside institutional investor funds. This plan has taken precedence, even as Mr. Morneau's economic advisory council, chaired by McKinsey & Co. managing director Dominic Barton, also recommended selling some federally-owned assets as a way to raise revenue to build even more projects. So far, the federal government has been tight-lipped on any asset sale plans. Without ruling the idea out, Ottawa redirects focus to the infrastructure bank while quietly studying ownership model options for the country's largest airports behind the scenes. The idea has vocal fans, though. A transportation act review report released in 2016 recommended a three-year process to make the country's largest airports more competitive, in part through a for-profit model where large institutional investors would provide equity-based financing. It also encouraged turning the existing not-for-profit airport authorities into commercialized operations. Mr. Claerhout puts it simply: Airports make "outstanding investments" for pension funds. And pension funds, he says, make outstanding owners. "We're long-term owners, we can work with communities, we can work with governments, we can manage the outcomes," he says. Others have waded into the debate. "Canada's airports have significant untapped potential equity value, and the federal government should find a way to unlock it," wrote Steven Robins, an infrastructure industry consultant, in a paper for the C.D. Howe Institute. His analysis found that Ottawa could raise between $7.2-billion and $16.6-billion for infrastructure investment by selling equity in eight major airports. "The government should sell equity in these airports with the proceeds recycled to fund new investments in other infrastructure." Key stakeholders – dominant local airlines and some airport management teams – have been blindsided by such suggestions and are steadfastly opposed. Some of the biggest players in the space are determined to prove that a pension fund won't be able to come in and sell a better latte – let alone manage the complexities of major airports. "We do not believe a for-profit, private ownership model would meet the federal government's stated objectives of increasing levels of service and lowering the cost of air travel in Canada," says Ashley Gallant, spokesperson for the Halifax International Airport Authority. But Teachers' Mr. Claerhout isn't buying it. "The opposition to [the for-profit ownership model] always will claim, 'Well, it's a bad idea. Because private investors kill jobs. Private investors starve airports of capital. Private investors have less interest in providing a good service,'" Mr. Claerhout says. "It's completely bogus." Craig Richmond, CEO of Vancouver Airport Authority, has worked for airports in both the public and private sectors. He says the conversation is happening too late. "When you're going to share-capitalize an airport, the time to do it is before it is built out and has been recapitalized. That's one of our big complaints with selling the airports off now," he said. "We put $3.3-billion into the airport … If we were going to privatize it and sell shares, the way to do that would have been 25 years ago." Other airports such as Montreal and Pearson are taking a wait-and-see approach, remaining open to whatever method might help them reach their individual strategic goals. 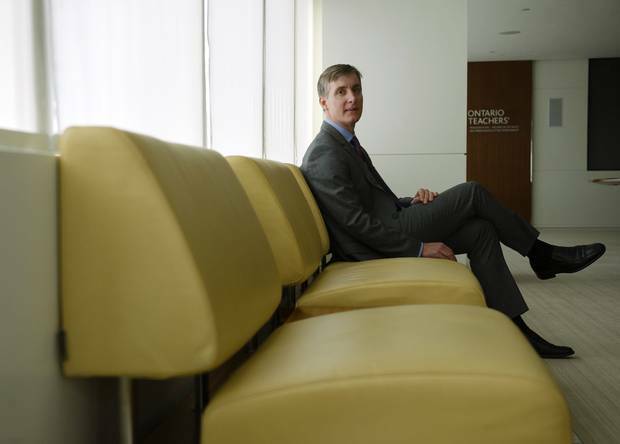 For their part, Canada's pension funds seem keen to invest at home. "You've probably seen several times that we have been out saying it would be great if there was opportunities for us to invest more money and more of our infrastructure allocations in Canada," said Bjarne Graven Larsen, chief investment officer at Teachers. "It's not the purpose of the pension plan – it is to achieve the best possible return – but to the extent that's possible in Canada and we can, at the same time contribute to to infrastructure development here and do good things here, that's certainly something we would be very, very interested in." One charge commonly laid upon airport investors is that they are stingy when it comes to upgrades. But an analysis of hundreds of airports conducted by ACI found that airports with private-sector backing invest about 12 per cent more on development, on a per-passenger basis, than their government-owned counterparts. "When I first started doing this a lot of infrastructure investors were relatively passive," OMERS' Mr. Bradbury says. "These days, you can't do that – no business looks after itself. You can't take anything for granted." And, large institutional investors argue, they aren't exactly on their own when it comes to airport management; many have purchased specialized airport managers to do the heavy lifting. PSP became a major airport player in 2013 with a $1.4-billion deal for the airports unit of German construction group Hochtief AG. "We can rely on them," Mr. Charbonneau says. "They're going to go through it and understand, where are the risks? What could we be better at? That has an influence on our investment thesis. For me, that's invaluable information." Like PSP, Teachers also invests through a management platform it bought a few years ago. "They bring learning from their experiences throughout their career as well as across our portfolio of assets," said Mr. Claerhout, referring to aviation team Ontario Airports Investment Ltd. The team oversees the budget and plans for projects that require capital spending and is expected to ensure that Teachers' money is spent wisely. Of course, nothing beats having your own boots on the runway. Back at London City Airport, the tour wraps up in front of rows of trolleys in the outbound baggage area – the "cardiovascular system that's the difference between living and dying for the airport," according to London City's Mr. Collier, referring to the major delays that blockages can cause. After the rebuilding, this area will be four times the size. To an investor, every detail – from the tricky takeoff, to the mix of leisure and business suitcases in the baggage-routing station – holds meaning. As Mr. Collier talks about the airport's changing passenger demographics, visible in part by the shift from monochrome business suitcases to a rainbow of leisure luggage, Mr. Claerhout darts off, disappearing through the trolleys to investigate a nearby heap of more colourful bags for himself. "Interesting, because these are going to Zurich!" he calls out from behind the pile. The London City management team should expect that same level of enthusiastic scrutiny as they begin actually spending investors' money to rebuild the airport. 1992: Years of mounting government deficits prompt calls for Ottawa to sell or transfer ownership of airports, as well as other assets. The federal government begins leasing lands and offloading operations to local airport authorities in Montreal, Calgary, Vancouver and Edmonton. 1993: New prime minister Jean Chrétien's Liberal government kills a Progressive Conservative-era deal with a private consortium to overhaul Toronto Pearson International Airport. The investors had won a 57-year lease on the operations of Pearson Airport and had promised a $700-million renovation of its two aging terminals. But Mr. Chrétien said the consortium members were too closely tied to the Tories and that airports should be in the hands of local groups. The legal battle drags on for years. 1994: A new national airports policy is put in place, which transfers the management, operation and development of the 22 major Canadian airports to non-profit airport authorities. Together, they are called the National Airports System (NAS). A long-term lease model is adopted, where the government retains ownership of land and other assets. This hybrid approach of separating the airport from federal control without adopting a for-profit, share-capital model is unique in the world. Other, smaller airports were largely sold off to provincial and territorial authorities. 1996: Transport Canada finally puts Pearson in the hands of the Greater Toronto Airports Authority. According to the Canadian Airports Council, it takes until 2003 for all NAS airports – now up to 26 – to be transferred to local operators that both run the airport businesses, as well as fund renovations and improvements. 2016: A review of the Canada Transportation Act launched by the Conservative government two years earlier calls for moving to a share-capital structure for the biggest Canadian airports, saying that "independent analysis and international examples show the benefit of increased private-sector discipline in the management of large airports." Canada Development Investment Corp. contracts Credit Suisse AG to analyze several ownership options for Canadian airports, including how much the government might be able to earn by selling some holdings to private investors. The results of this report aren't publicly released, but by 2017 an analysis by the C.D. Howe Institute finds that Ottawa could make between $7.2-billion and $16.6-billion by selling equity in the eight biggest airports.